Your Apple AirPods is super easy to connect with other Apple devices. And with the help of that tiny button at the back of the case, it pairs with other non-Apple devices as well. But default, the Apple AirPods name themselves as ‘Owner’s name AirPods’ in Apple Devices and just ‘AirPods’ in other devices. 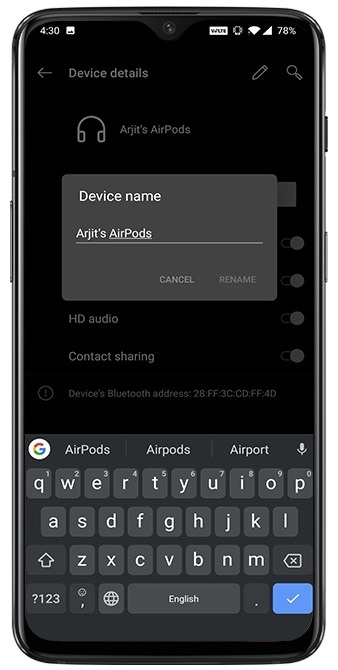 But if you want to rename your AirPods, here are a few steps on how to change the name of your AirPods on any device. 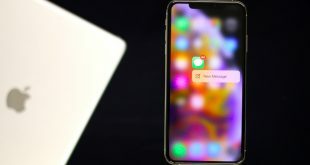 Most devices require your AirPods to be connected (not just paired) while you rename them. Also Read: Xiaomi MI Airdots Review – Worth the Hype? 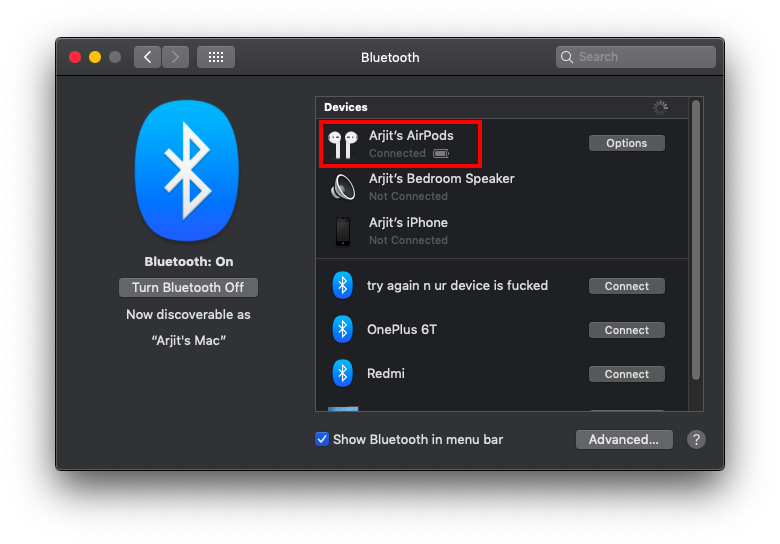 Head to the Bluetooth settings of your iPhone and look for your AirPods. 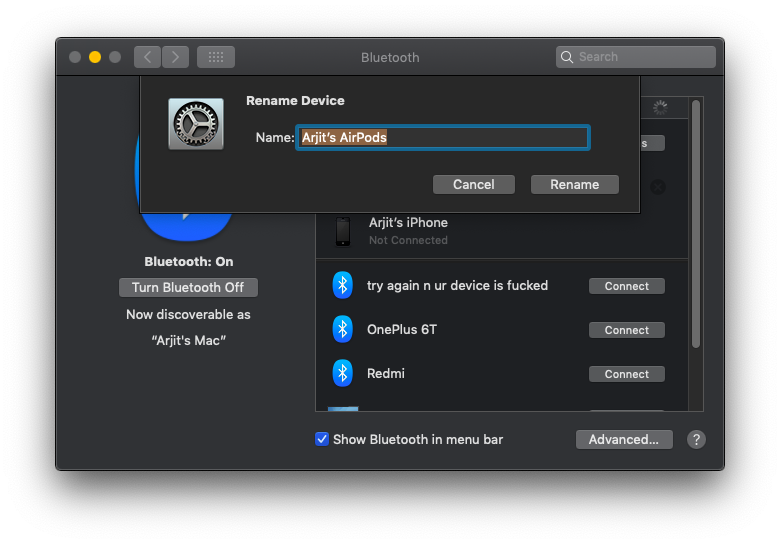 Remember to connect your AirPods to be able to rename them. Here you need to click on the info icon that reads ‘i’. After you tap on the info icon, you’ll see the settings page of your AirPods. Here you can change other features like tap functions as well. Tap on the tab that reads ‘Name’. You’ll see the edit window. Just rename the AirPods and save the changes. Your work is done here. 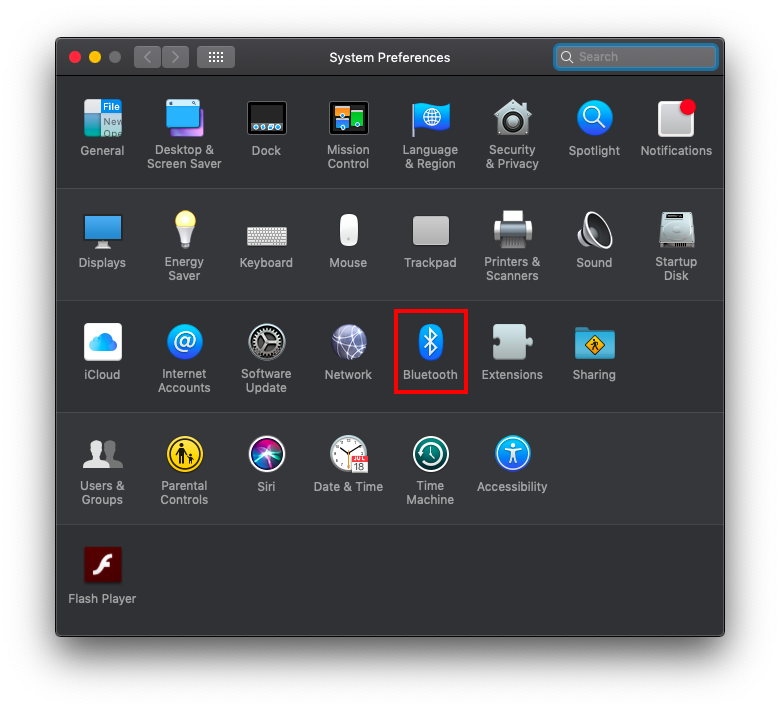 Open System Preferences on your Launchpad and click on Bluetooth to enter the Bluetooth Preferences. 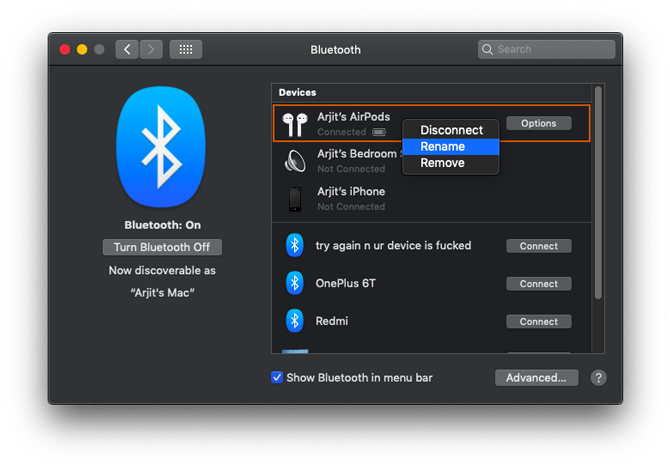 Same could be done by clicking the Bluetooth icon on your Menu bar as well. 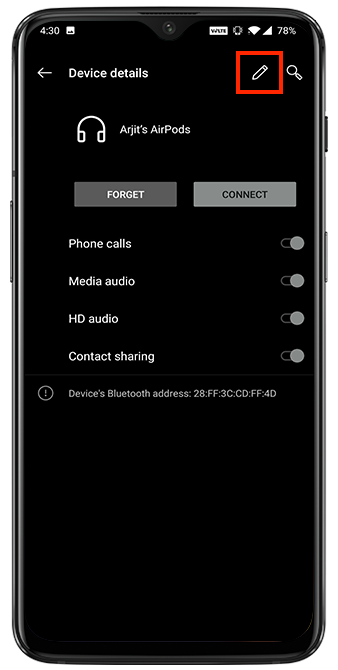 Under the Bluetooth preferences menu look for your AirPods name. But, done click on the ‘option’ button. You wouldn’t be here if it was that easy. Now here’s the tricky part. Even though you have an ‘Option’ button right there in front of your device’s name, you need to right click on the devices name to see the rename option. A two finger tap would do if you’re not sure how to perform a right-click on MacBook’s Trackpad. Now you’ll see the rename tab. 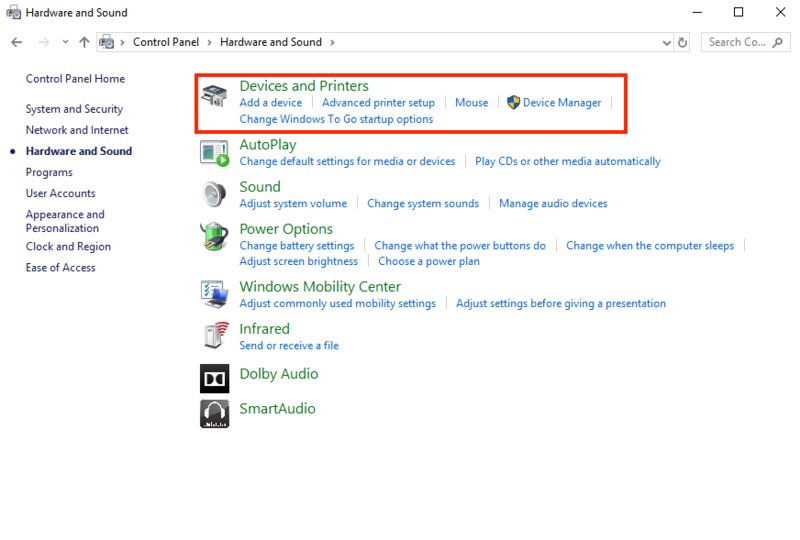 Simply change the device name and save the changes. Head to the Bluetooth settings on your Android phone by tap and hold gesture on the Bluetooth icon on the notification tray. 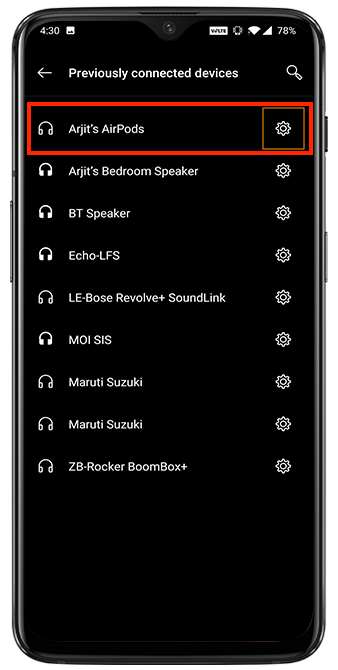 Tap on ‘Previously Paired Devices’ to see the list of your paired devices and look for the current name of your AirPods. 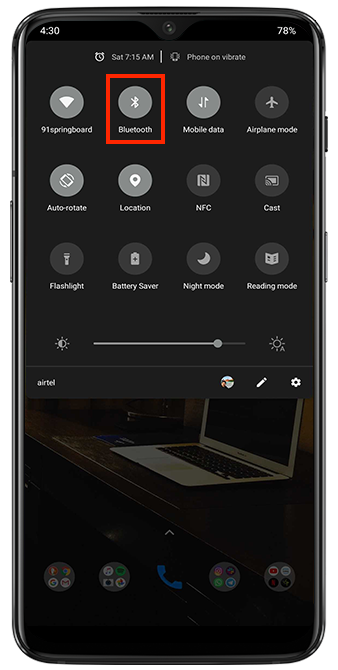 In front of your device’s name, you’ll see a little settings icon. Tap on the icon to enter the device settings menu. If you tap on the device name instead, it’ll trigger the connection process. Tap on the edit icon on the top right to get the rename window. Type in your new name and tap on rename below. Your Changes will be saved immediately. It’s a rare combination but many people still stick to Windows PC for official work mostly if you’re in documentation work, while otherwise being in Apple ecosystem. 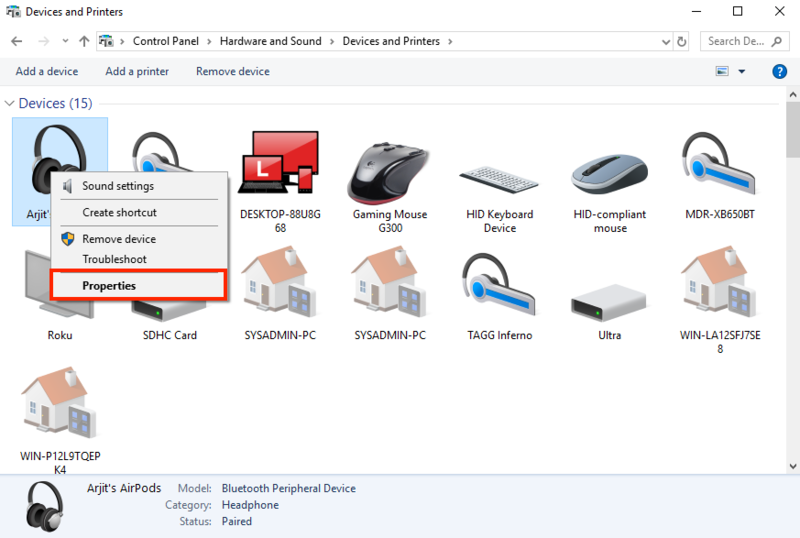 So here’s the trick to rename your AirPods on a Windows PC. I’m using the term ‘trick’ because it doesn’t even involve the Bluetooth menu. 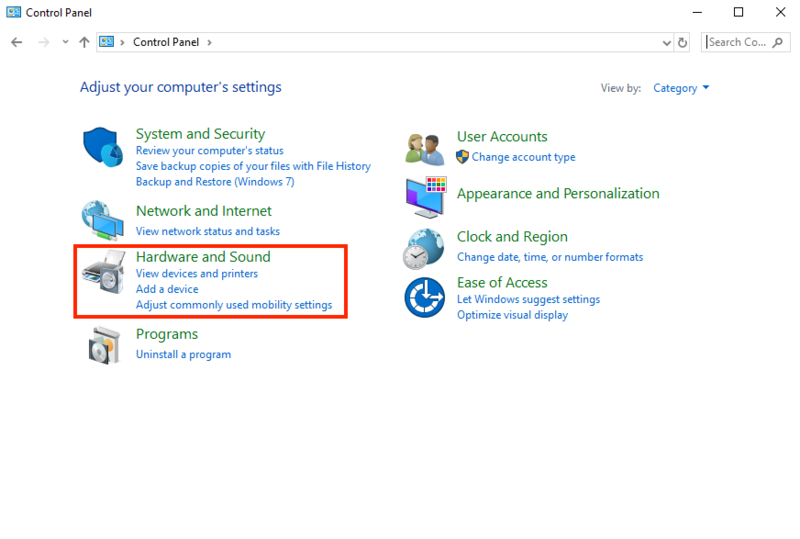 Open Control Panel from the Start Menu and look for Hardware and Sound. 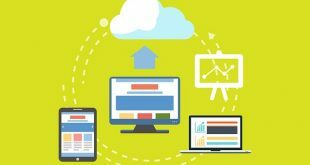 Click on Devices and Printers to see all the external devices connected to your PC. Icons in this section might not exactly portray your device but only hint what kind of device that is. Windows icons are still a bit archaic for that matter. Look for your AirPods and right click on the icon. It must be a headphone like icon but might differ from system to system. 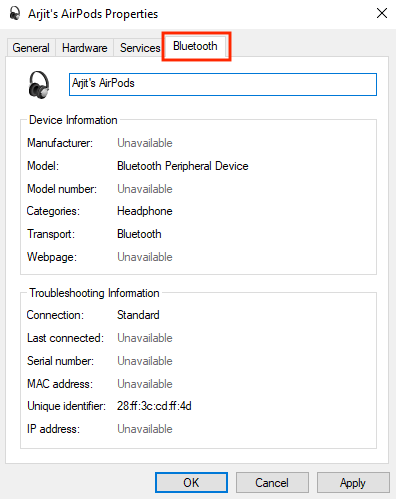 Click on Properties on the right click menu to enter the settings window for your AirPods. Once you are in the properties menu, click on the Bluetooth tab. You’ll see your AirPod’s name right on top of the window. Simply edit the name and save your changes. 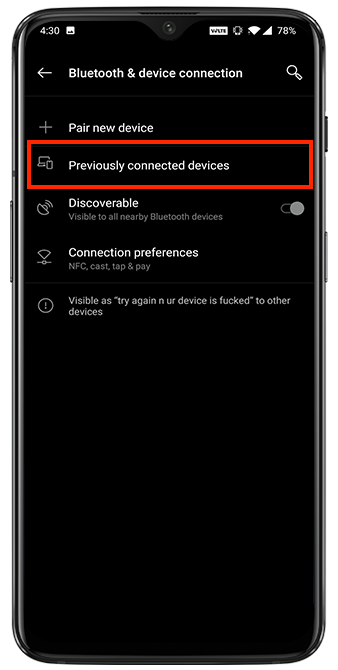 A little troubleshoot for those who don’t see the changed name effect, just disconnect and reconnect your AirPods from the Bluetooth menu and the changes will appear. These are pretty much all possible devices you might pair your AirPods with. Go ahead and rename your device with a funky name. Here are a few suggestions such as uʍop ǝpısdn ǝɥʇ, Mjolnir, Drogon, Night King, W1-H1, Jarvis.